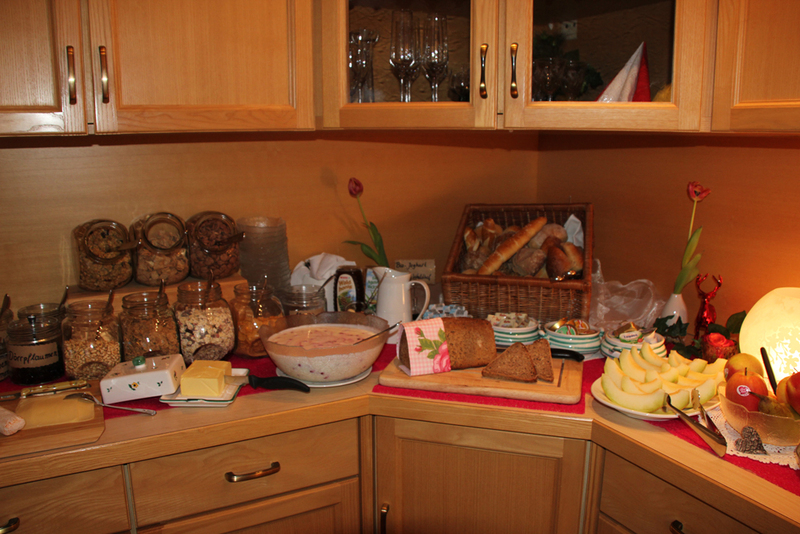 Every morning we offer you a buffet breakfast with a wide variety of choice, including many local products. 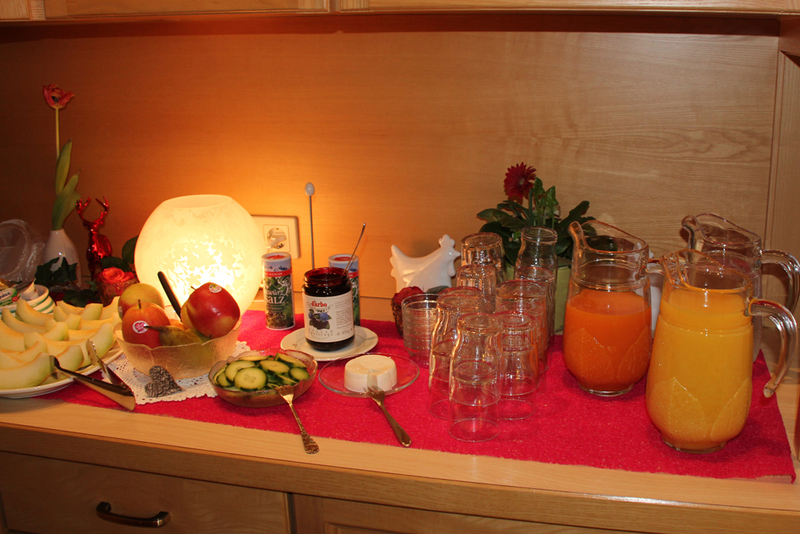 Particularly popular with our guests are the natural yogurt from the Waldhof farm in Zug and the mountain cheese from the pastures of the Alpe Batzen in the Auenfeld area. 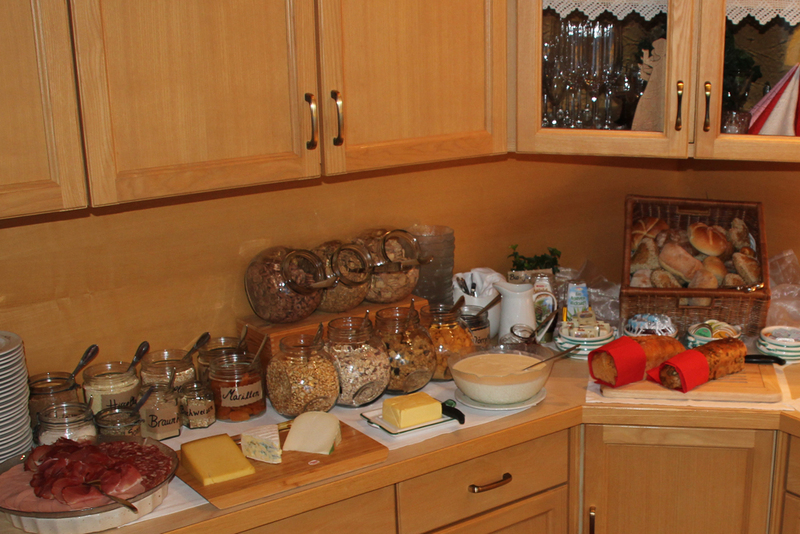 Our milk, mountain cheese and yogurt all come directly from these local farms in Lech am Arlberg and the Bregenz Forest. 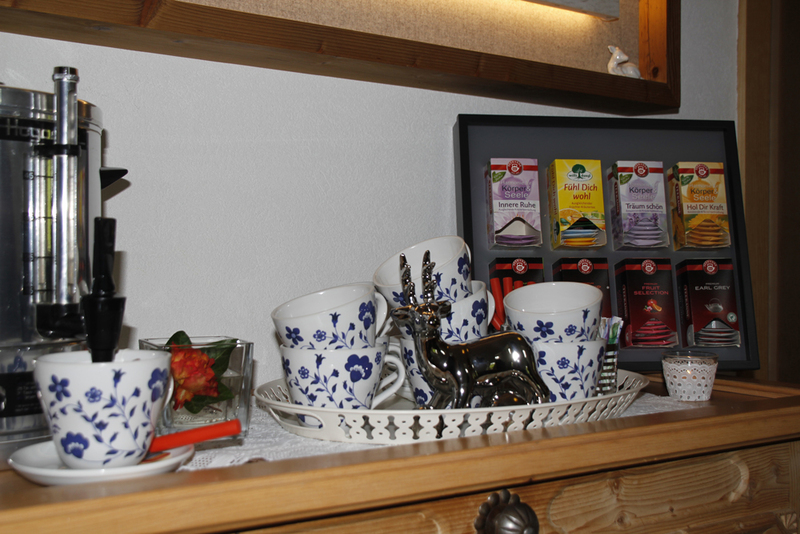 Every afternoon, when you return to the guesthouse, you can help yourself to a hot drink from our tea bar. Our guest lounge is always open for you. 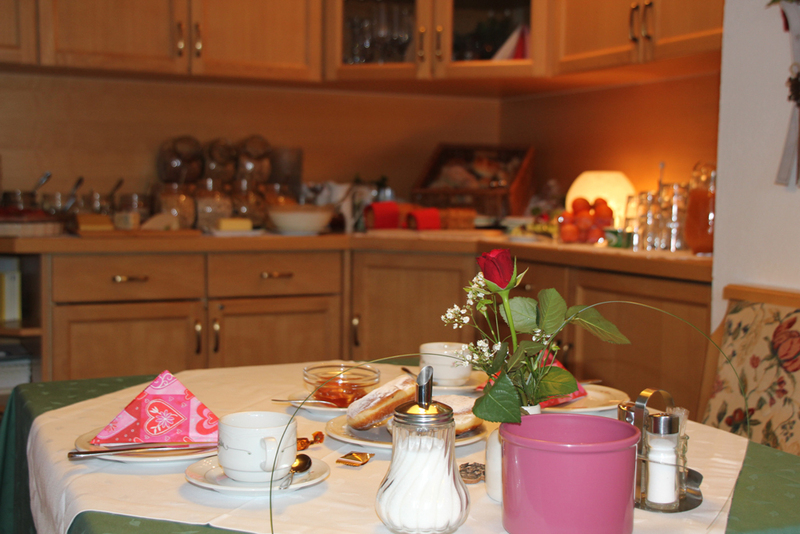 During the winter season our guests can, on request, enjoy their evening meal in the Hotel Formarin. The hotel is situated just a stone’s throw away and can be reached without having to go outside via the garage. The evening dinner menu can be ordered in the morning for the evening of the same day, provided that there is space available in the restaurant. You can, alternatively, reserve your room with half-board in advance. The Formarin also has an à la carte restaurant. 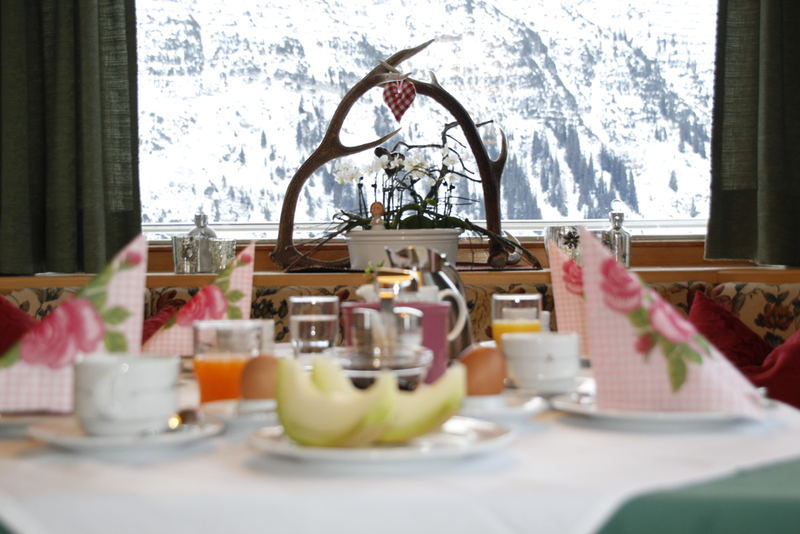 If, however, you prefer to sample your way through the tempting range of dining options in Lech, Oberlech, Zürs and Zug, then we’d be delighted to offer you recommendations and assist in booking tables.